The FTF New York office is located in the Church Center for the United Nations (CCUN). 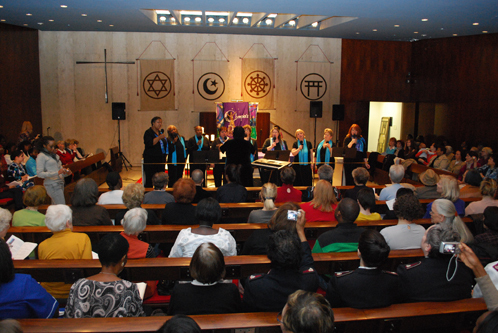 Built in the 1960s by United Methodist Women, the Church Center serves as a hub for non-governmental organizations (NGOs) and place of hospitality for many civil society and NGOs advocating for social justice at the UN. To learn more about the UMW, a partner of the FTF, and the CCUN, see this article by UMW. This map shows the different parts of the world where the Feminist Task Force has worked. The green icons represent locations of FTF’s Women’s Tribunals on Gender and Climate Justice. The orange icons represent locations of FTF’s Women’s Tribunals on Poverty. The purple icons represent locations of FTF team members and advisors.